Thank you for your interest in The Main Event. Federation is appreciative of your loyal and continued support. 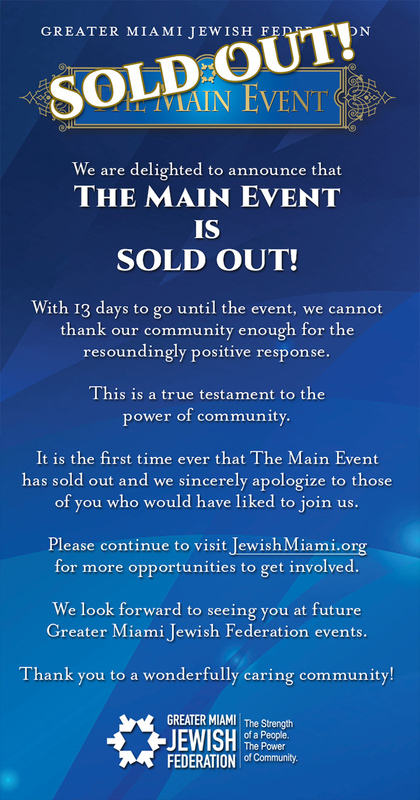 We have reached capacity and are no longer accepting registrations. We hope to see you at a Federation event in the future.